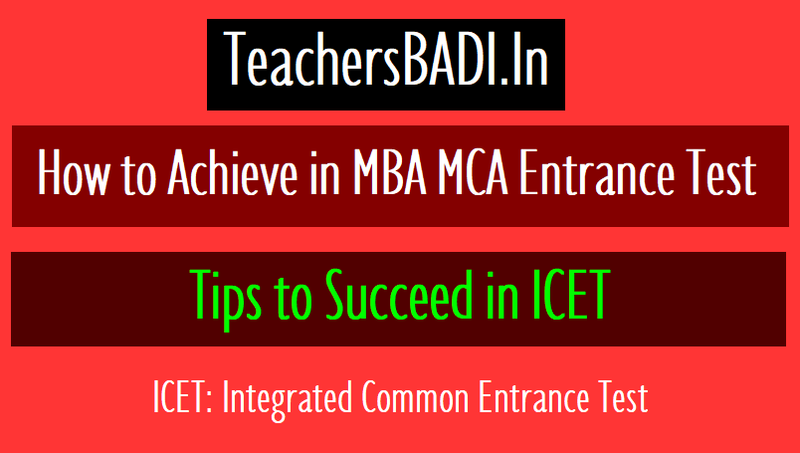 Tips to Succeed in ICET 2019 /How to Achieve in MBA MCA Entrance Test 2019 - Tips to Succeed in ICET: A Common Entrance Test, designed as Integrated Common Entrance Test (ICET) will be conducted for entry into the first year of a) M.B.A and b) M.C.A courses offered in the States of Andhra Pradesh and Telangana State. Both states announced the ICET schedule and notification in the month of March. “March , May” this is not only hot season but also burning season because it is the exams period starting from 10th to EAMCETt all exams dates will be in between this period only. This is a crucial period for every student because it changes the total graph of them. Who succeeds will move further to achieve greater heights, who failures, makes the failures as the stepping stones for success and tries to reach the goal. Meanwhile we have ICET is the eligibility to get corporate job and to luxurious life. No two human beings think similar according to their view ideas they will plan their career someone choose corporate job where other choose teachers job. To succeed in any examination we have to follow some tips and prepare with perfect planning then only we can succeed in any exam. Now we are going to learn some tips and understand to some extent. If we observe the students, colleges ratio, we need not worry about seat but pursuing degree from good & best college matters. To get seat in rank. As first time we are going to write exams separately from both states, plan properly and then success will be in our hands. 3. Communication ability paper consists of 200 questions. Each part will have again sub – parts. Mathematical ability: This ability will have 3 sub – parts. They are arithmetical ability, algebra and geometrical ability, slatistical ability. To do well in above 3 parts you have to prepare VI – X books thoroughly. For statistical ability Inequalities refer inter books. In arithmetic have a look and practice the topics percentage, Loss & Profit, Geometry, Mensuration, Simple equations. In algebra & Geometrical ability prepare Graph and formula. Communication ability: This will have four sub – parts, they are vocabulary, business & Communication terminology, functional grammar, Reading comprehension. By basic grammar you can solve vocabulary questions. For passage questions read newspapers and English story books and answer the questions. In functional grammar major questions are from synonyms, antonyms, question tags. For answering these questions read VI – X English grammar books. For answering computer & business terminology questions read business newspaper & computer magazines where here the 10 questions are based on terms/words using con temporarily. As, we observe the results of previous years, engineering students are doing well when compared to others. By this non – engineering, non-maths students are worrying. You need not to worry because all the students read maths up to schooling, only if you stress more on inter topics you can get through this. If we analyse the question papers of previous we are clear that practice is much important. Practice with perfect planning leads to confidence rectifying mistakes, practicing more with confidence leads to success. Reference books: Arithmetic . R.S. Agarwal, Trishna Arithmetic. Pure maths : X maths text book. Reasoning : R.S. Agarwal, Sizwali. English : News papers, Story books and model papers. As, two states are conducting exam Separately but the pattern marks weight age are same. 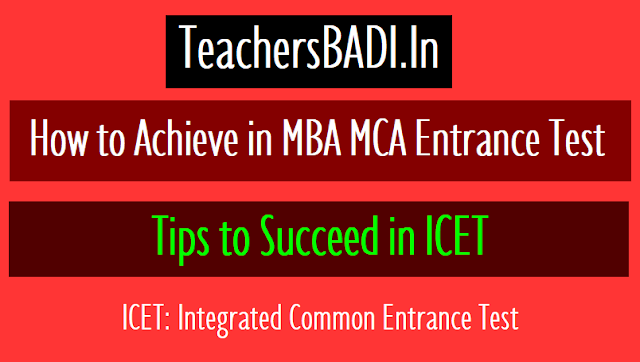 Eligibility: 50% marks in any degree, MCA enthusiasts should have maths subject in intermediate level.